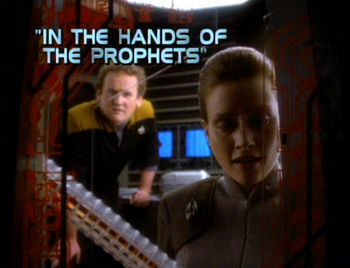 Vedek Winn visists the station and causes a controversy when she declares that Keiko O’Brien’s teaching of science about the wormhole amounts to blasphemy as far as Bajoran spirituality is concerned, since referring to the Prophets as alien entities dishonours the celestial temple. Winn manages to turn all the Bajorans on the station against the Star Fleet personnel including the Bajoran engineering staff, and the school is temporarily closed down. It all comes to a head when the school is bombed and when Vedek Bareil (the much more progressive and forward thinking Vedek and favourite for the position of Kai) arrives, there is an attempt on his life, as well as another murder – all of which Winn has cunningly orchestrated behind the scenes. Kira, who had originally supported Winn’s position ends up seeing with painful clarity exactly what sort of woman she is and what she has done, and the lengths she is willing to go to in order to get what she wants. The argument over the teaching of the prophets is clearly a metaphor for the teaching of creationism in American schools (and, to a lesser extent, in private schools in the UK and around the world – my contact Jonny Scaramanga has been working tirelessly to expose the use of ACE teaching materials in the UK. I wrote about this a while ago in “Culture Clash“, although I have changed my mind considerably since I wrote that post – having looked at the details of the curriculum and heard the voices of the affected students). 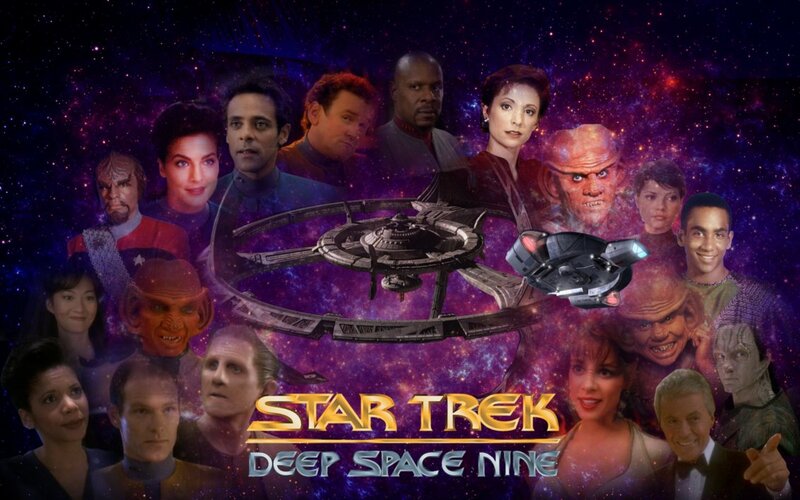 These DS9 posts were originally started on the blog “The Bajoran Exile” that I wrote on Open Diary way back when. I didn’t ever get as far as this last episode of season 1 there before we moved away to the place without an internet connection and meanwhile the platform shut down entirely. So I’m pleased to have managed to resurrect it and finish the season. DS9 was not my favourite emanation of Star Trek but I grew to love it, especially as I recognised in Kira a fellow angry and feisty survivor, and readily identified with her. 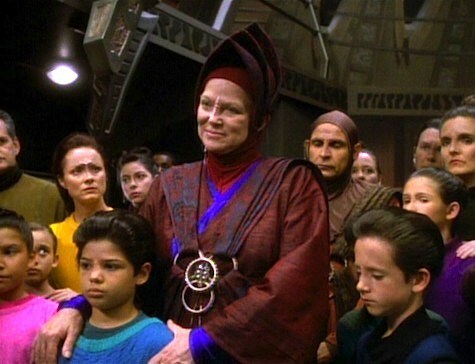 Now that I have amalgamated all my blogs, it means I’ll be writing about DS9 and Voyager in the same place, so I hope that’s not too confusing. If it’s Star Trek overload, I apologise, but you may be in the wrong place. I can’t de-nerdify my inner geek. It’s out now and proud; it’s the core of my being!